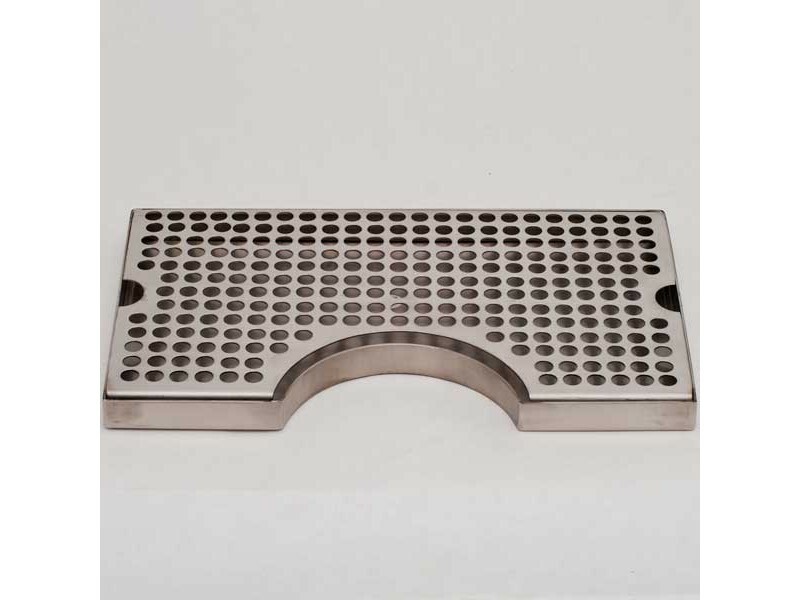 Attractive and functional stainless steel drip tray with a cutout space for your draft tower. Fits nicely around a 3" column. Measures 12" long by 7" wide, with a 5" diameter by 2" cutout section.